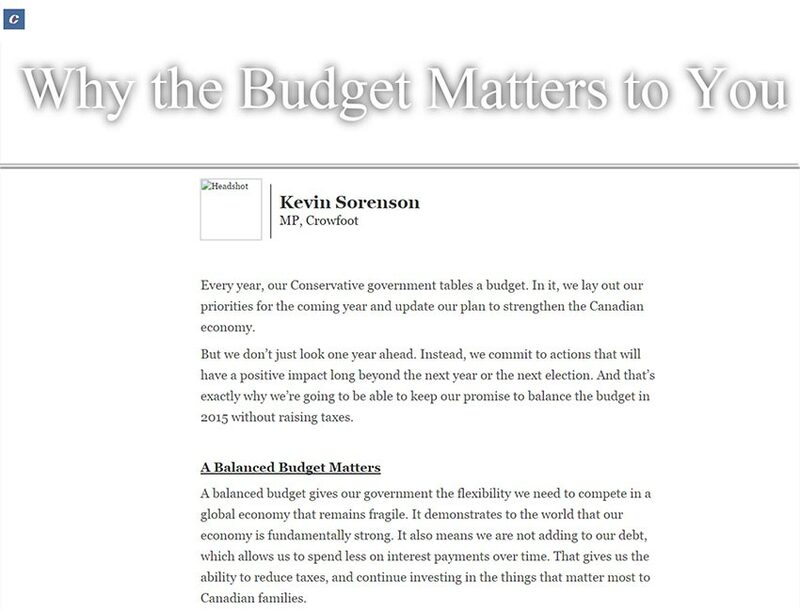 On Wednesday, the Parliamentary Budget Officer released new projections showing Canada will not meet the Conservative government’s goal of balancing the budget in 2015. Instead, the government is projected to run a $1 billion deficit. 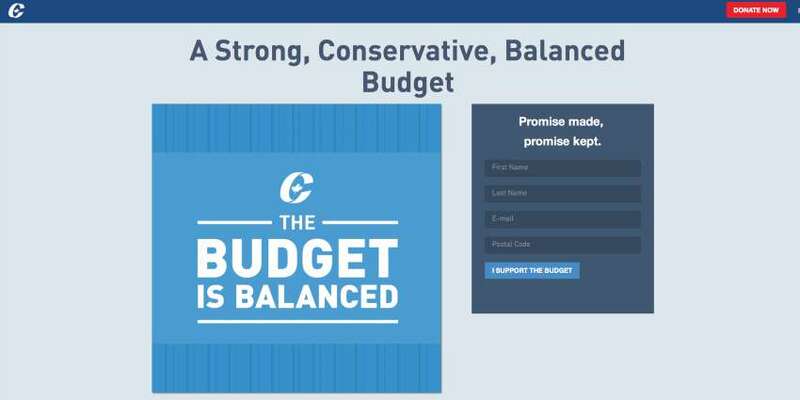 The PBO now says Canada will not balance the budget until 2017, devastating news for Harper, who often portrays himself as a strident deficit hawk — if re-elected, that would work out to nine consecutive deficits under Harper. However, it’s not entirely clear Harper has let these new developments sink in. 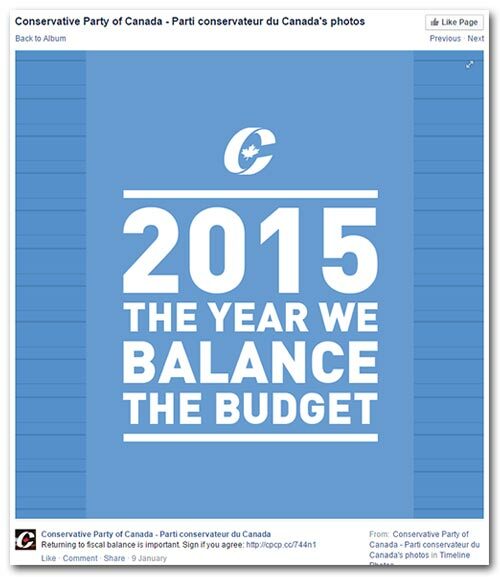 “We remain on track to balance the budget in 2015,” Harper’s spokesman Rob Nicol said in response to the PBO’s report. 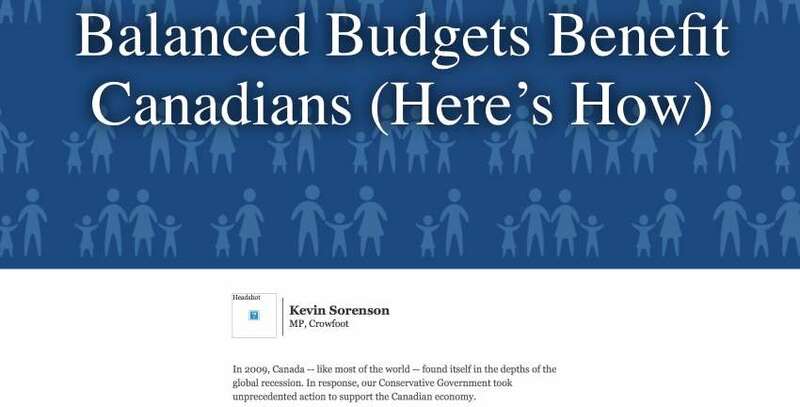 UPDATE: A few hours after PressProgress published this story, the previously dead URL “http://www.conservative.ca/cpc/a-balanced-budget-in-2015/” was reactivated and began pointing at content different from what was originally there. The original (see above) features an image of Prime Minister Harper and the header “a balanced budget in 2015.” The new version (see below) features the header “a strong, Conservative, balanced budget” and features no image of Harper. Are Conservatives trying to refresh their web history? 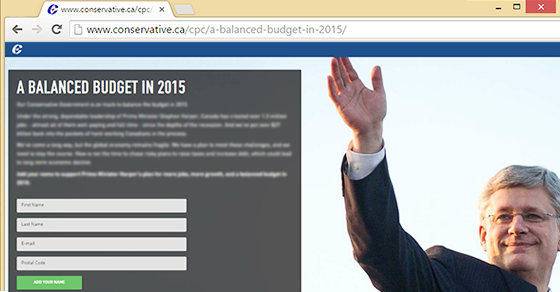 Or did the Conservatives’ geek squad accidentally delete half their website? What is going on? 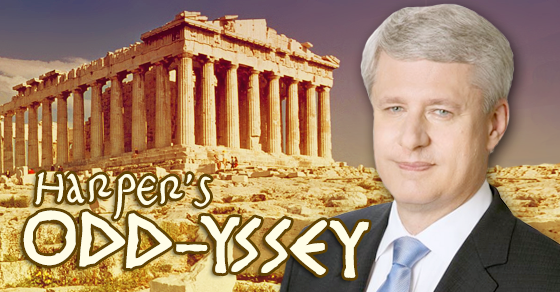 By the beard of Zeus, what on earth is Stephen Harper talking about? 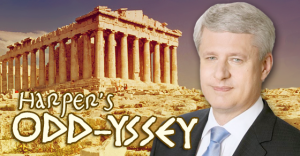 By the beard of Zeus, what is Stephen Harper talking about?